Request your FREE Medicare Guidebook to learn all about your coverage options. Maryland Governor Larry Hogan has declared a state of emergency ahead of the landfall of Hurricane Florence. During a state of emergency, members are still entitled to care from Johns Hopkins Advantage MD. Generally, if you cannot use a network provider or pharmacy during a state of emergency, the Plan will allow you to use an out-of-network provider or pharmacy. Check your current medications and ensure you have enough on hand or call for a refill if needed. 1-877-293-4998 (HMO) or 1-877-293-5325 (PPO). Start enjoying high quality coverage beyond Original Medicare with low costs on everyday health care needs. 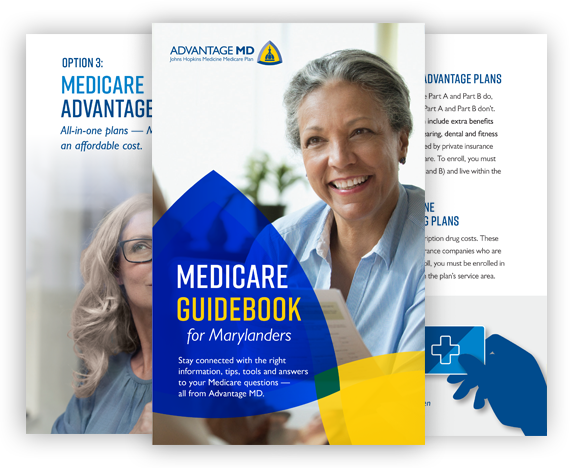 We’re the Maryland Medicare Advantage plan that gives you access to Johns Hopkins doctors and hospitals throughout the state.